If you think buying a four-figure jacket is extravagant — think again! We’ve featured some pretty expensive jackets over the years, but all of them cannot hold a candle to these top 5 most expensive jackets ever made! Bond. James Bond. That’s right! The Vanquish suit (priced at $43,000) has many loyal fans, including 007 himself. Made from two of the world’s rarest fibers, Qiviuk and Vicuña. Qiviuk fiber is so rare that the coat cannot be shorn and fibers can only be gathered from what the animal naturally sheds. Vicuña, on the other hand, is shorn only every three years. There are only 150 existing pieces available worldwide. What can you expect from the guy who made diamond-studded phones and accessories fashionable? 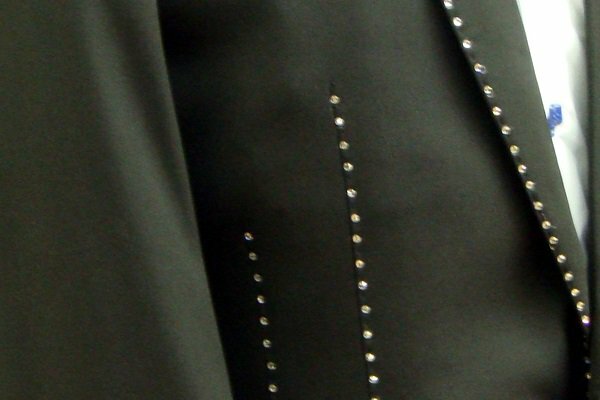 Well, diamond-studded suits, of course! The London-based designer, Alexander Amosu, spent 80 man hours making this one-of-a-kind suit priced a little over $100,000. Amonsu delivered the suit to its lone buyer in an armored Range Rover. At number 3 is the gold-plated cashmere suit from tailor Richard Jewels and designer Stuart Hughes. 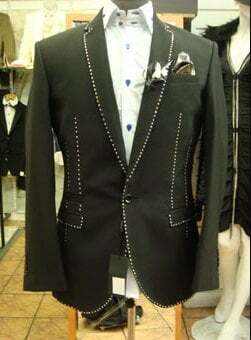 If the gold plating is not luxurious enough for you, this suit also contains 480 0.5-carat diamonds! 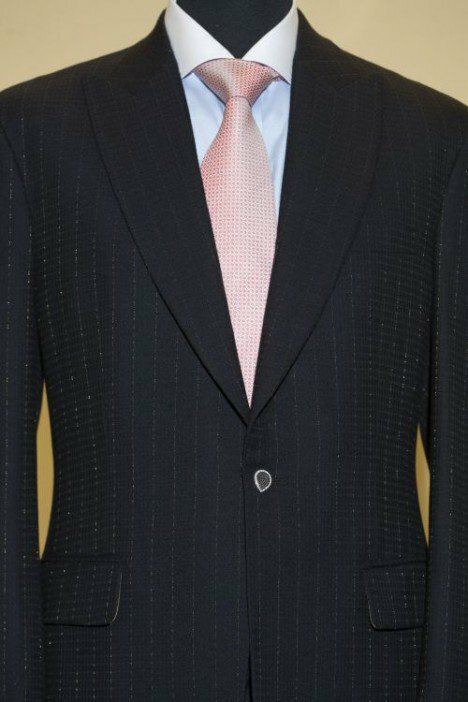 Only three people in the entire world will have a chance to own this $900,000 suit. Wow! Made by fashion designer Silke Waro, the “world’s most expensive coat” is made of 7,541 original designer labels, including Issey Miyake and True Form. 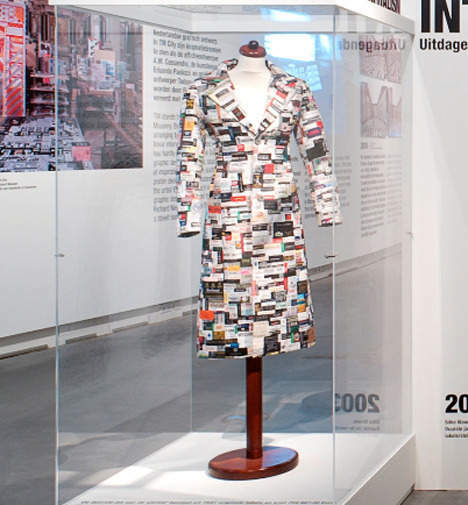 An art piece depicting our fascination for designer brands, the €759,987.20 coat is on display at the Graphic Design Museum in Breda, The Netherlands. The top spot belongs to a record-breaking, moon-walking fellow … the King of Pop himself, Michael Jackson. 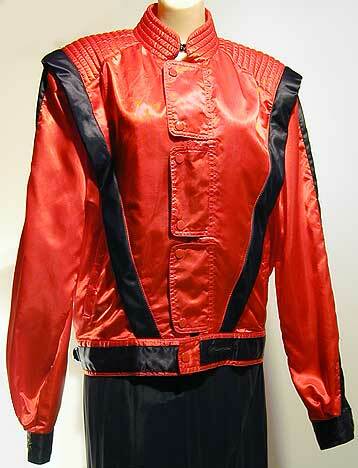 This iconic red-and-black leather jacket was worn by MJ in his 1983 “Thriller” music video. The jacket (also autographed by Michael) was sold in a private auction at Julien’s Auctions, a California-based auction house specializing in items owned by celebrities, in 2011 for a whopping $1.8 million! If you won the lottery today, would you purchase any of these jackets?